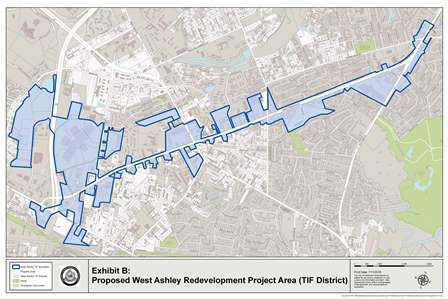 In December 2016 City Council approved West Ashley Redevelopment Project Area and Tax Increment Financing (TIF) District. Funding public investments within the TIF District through tax increment financing will enable the City of Charleston to make the necessary infrastructure and public realm improvements that we believe will, in turn, catalyze private reinvestment in the area. In December 2018 City Council approved Church Creek Drainage Project Area and Tax Increment Financing (TIF) District. Funding public investments within the TIF District through tax increment financing will aide the City of Charleston in making the necessary stormwater infrastructure improvements for the area.